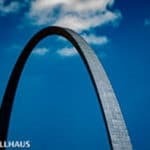 Home BLOG St. Louis Riots Lead To Concert Cancelations. St. Louis Riots Lead To Concert Cancelations. St. Louis concert cancellations due to riots. Sometimes reality intrudes into the world of music and concerts. This is such a time. St. Louis finds itself at the center of the storm again. It’s hard to say when things will get back to “normal,” but music will be part of the healing. We’ve seen U2, Ed Sheeran, Apocalyptica, and more, cancel shows out of concerns for the safety of fans, the bands, and employees of the respective venues. St. Louis riots, unrest, and protests may continue for the foreseeable future. We hope our friends from the St. Louis music community remain safe and we hope the police show restraint. We also hope that the protesters protest peacefully and avoid violence or vandalism. Previous PostSpotlight's Seismic Is An Audio Earthquake. Next PostApocalyptica at The Pageant Monday, September 18th.